Richard Dawkins is one of the most revered macro-evolutionists in the world today. In this interview with Ben Stein, taken from the documentary “Expelled,” Mr. Dawkins makes some startling statements. He speaks of a possible designer. The brief interview is very illuminating. Maybe you have been watching the evolution debate play out. If you have, you are aware of the increasing scientific evidence for a designer. Christians are not surprised that macro-evolutionists are grasping at nebulas to keep their theory intact. Recently, while at the Baptist Hospital Plaza Hotel, my wife noticed small booklets at the desk. They were free and she took a few different ones because she knew they would interest me. One of the booklets, a small 24-page work entitled “Millions of Years & the Downfall of the Christian West” is very informative. Checking online for a copy, they are only available for sale (49 cents each in small quantities). I appreciate the anonymous person attempting to educate at their expense. the idea of a very old earth was popular in scientific circles before Darwin. many scientists (including many professing Christians) started to reject a straightforward reading of Genesis many decades before Darwin’s Origin of the Species was published. there are thousands of practicing scientists today who believe in a young age for the earth. God’s Word is the same today, yesterday, and tomorrow. It does not change. It is the feeble mind of man that changes. 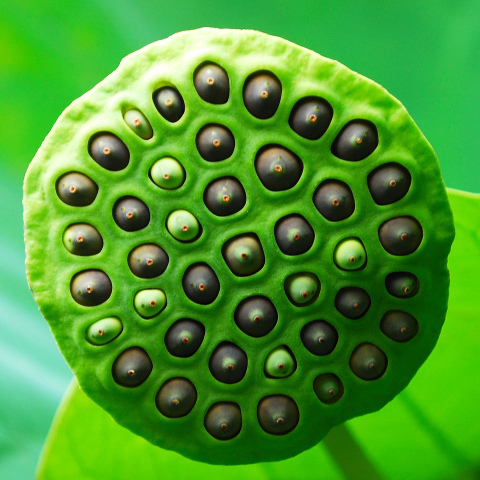 The picture at the top is of Lotus flower seeds. This entry was posted on Saturday, July 10th, 2010 at 11:29 PM and is filed under Commentary. You can follow any responses to this entry through the RSS 2.0 feed. You can leave a response, or trackback from your own site.